Going back to school is challenging for all kids, but it’s especially difficult for foster children. 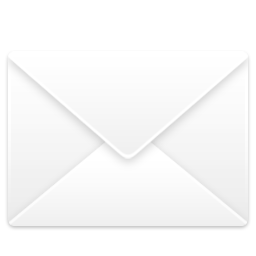 They frequently don’t have the resources needed to purchase supplies and new clothes for the school year. 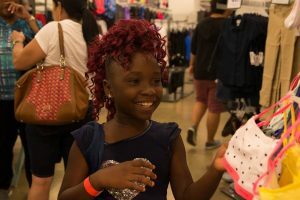 To address their needs, Voices For Children partnered with Old Navy for the sixth year in a row for a special Back To School event that provided approximately 300 youth the opportunity to shop for the essentials. The event was possible thanks to donations from Old Navy, The Mickey and Madeline Arison Family Foundation and the generous support of the public who donated during our Back to School fundraising campaign. 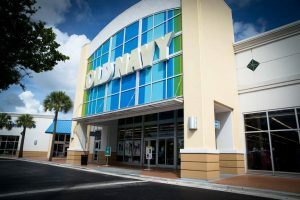 Each child received a $75 gift card to spend during their VIP shopping experience with volunteers serving as personal shoppers at Old Navy at Shoppes At Dadeland.